Getting information on the types of life-sustaining treatments that are available. Appointing a Durable Power of Medical decision maker if you were not able to make decisions. Sharing your personal values with your loved ones. 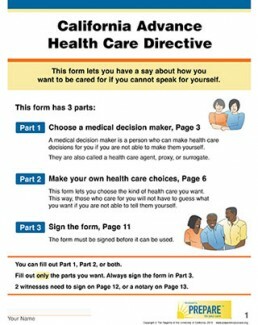 Completing advance directives to put into writing what types of treatment you would or would not want should you be unable to speak for yourself. An Advance Directive is used to provide guidance regarding future treatment wishes and to appoint a legal healthcare decision maker – someone authorized by you to speak on your behalf if you no longer can speak for yourself. An Advance Directive is recommended for all adults, regardless of their health status because an accident or sudden health crisis can happen to anyone. A POLST is designed for people who are seriously ill or within the last year or so of life. It is based on a patient’s current health status, so it may not be appropriate for people who have a longer life expectancy because treatment wishes and goals for care can change significantly over time, based on personal life goals, age, overall health and long-term prognosis. POLST is a medical order signed by both a patient and physician, nurse practitioner or physician assistant that specifies the types of medical treatment a patient wishes to receive toward the end of life. POLST is also a tool that encourages conversation between providers and patients about their end-of-life treatment options, and helps patients make more informed decisions and communicate their wishes clearly. As a result, POLST can prevent unwanted treatment, reduce patient and family suffering, and help ensure patient wishes are followed. 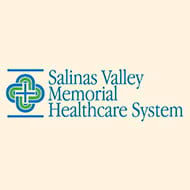 The VNA & Hospice is a local charitable organization providing skilled home health care and community services to the local residents of the Central Coast. Your donation assists in providing the best care for your neighbors. Our VNA Home Care Services are provided by a trained and certified staff to assist patients in the comfort and familiarity of their own homes. 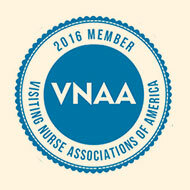 VNA & Hospice Care offers a multi-discipline team approach to provide patients with dignity, support and illness management in their own home setting. ©2017 Central Coast VNA & Hospice. All rights reserved. Developed by Coastline Marketing Group.